When writing an article you sometimes click on the publish button directly, because you may be really in a hurry to get your blog post published. And after few days of publishing your article, you recognized that you have done some mistakes. So, in order to decrease the frequency of your blog post to get higher in search ranking, you need to better ask yourself these 12 questions before clicking on the publish button. Headlines are a very important factor of any article because it is the first impression that your readers are going to have while they are searching for your keyword. 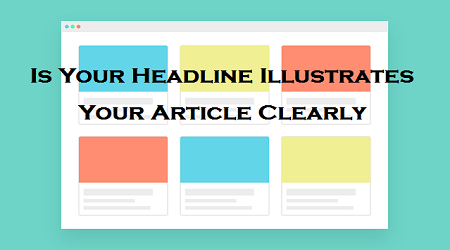 If your headlines are not clearly illustrated and your readers do not get the gist of your article, they are sure to scroll over to the next line. So, always make sure to give a headline that is catchy and put some spice on it and that will definitely attract people and click on your headlines. 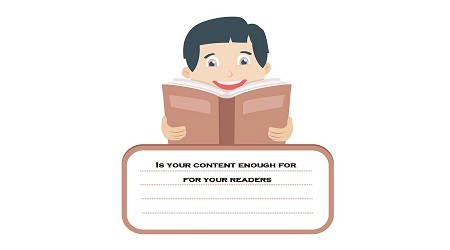 Does Your Content Help Your Readers? When writing an article you must always keep in mind that you are writing for your readers and not for search engines. When you write articles you should always give something that is relevant to your reader’s interest and your title. Suppose you have a very nice and catchy title and people came to your blog to read your article. But, if they did not find your content helpful then your readers are sure to bounce back to the search result and this will have a very bad effect on your site. Is Your Blog Post Shareable On Social Media Sites? Always read your own article twice, thrice or even more until you yourself are satisfied with it and, ask yourself that whether the contents of my article is up to the quality that people will share in social media sites like Facebook and Twitter. 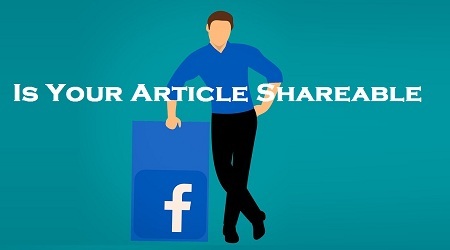 So, make your article content unique and up to that level so that your reader is bound to click on the share button. You can also read my article on Facebook Marketing 101: Beginners Guide. Is The Topic or Headline That you are Writing is Trending? Always do some research regarding on the topic of your niche before writing an article. And find some latest trends that are going on in your blog niche. You can read my article on 4 Unique Keyword research techniques. I have been always telling on my every article that content is the king for any blog to rank in search engines. Even if you write spicy and catchy headlines and your reader's clicks and come on your blog. If they do find your content useful or your content does not give them the knowledge for which they have come in your blog. They are sure to bounce back to the search result. This will probably have a negative effect on your readers and on your site as well. So, always try to write unique and quality articles, so that your reader gets the impression that they have not wasted their time visiting your website. You can also read my article on 10 Best Blog writing tips for beginners. Is The Content of My Topic Enough For My Readers to Understand? When you choose a topic to write, you must write in all that is possibly related to your topic. It is a good practice if you write your content with 350 to 2000 words. 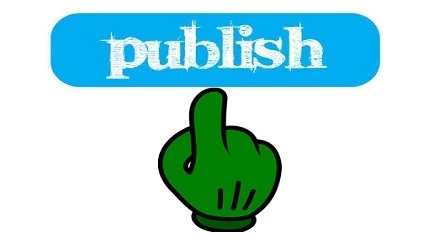 But it is not necessarily you write irrelevant contents that are not even related to your topic. Try to write enough so that your readers understand and get knowledge for what they are searching for. Is your Content Something Special Then Others? Today, if you Google any word, you are sure that there are millions of results will get displayed, and every bloggers or writer writes about everything that is on earth or everything. So, when you write content, read others blog post related to the topic that you have chosen to write, at least the first top ten in the Google search results, and make try your content special then what others have written. You can also read my article on how to become a great content writer. How Many Minutes Does it Take to Finish Reading The Entire Article? It is not like that you have created an article of 2000 words and filled it up with all kinds of stuff that are not even related to your headings or sub-headings. If you do this your readers will get bored and will bounce back to other sites. So, you should write your article and keep your content simple and easy to read. You can also read my article on how to become the best writer. Do You Save Time for Your Readers? Always try to write your content clean and brief unless it is necessary to write long. After all, you are not writing an essay for your exams. It is a good practice to write in paragraph wise and maintain to keep 4 to 5 lines in a paragraph. Try to give sub-headings if possible to every paragraph. If you do that, your readers will get the gist of your paragraph and will get the interest to read further more. Is There Any Benefit Reading Your Article? While reading your own article you much always thing as if you are the reader who has visited your site. And should analyze the benefits of reading your own article. If the content of your article does not provide any knowledge or benefit them for which they are searching, then be sure that you are losing one of your valuable visitors or you may call it revenue as well. So, analyze your content and be sure that your article hit the end. Is Your Article Provides Any Nicer Visual Enjoyment? If you are writing an instructional article then you should always add images, because pictures speak better. If you clearly illustrate your steps giving examples with images than you readers are sure to understand and get their desired result. You reader should enjoy reading your article and not like reading a textbook. You can also read my article on how to write an engaging blog post that people will read until the end. Are Your Grammar and Punctuation are Correct? When you finish writing your article always do revision for your grammar or punctuation or any other minor mistakes. What if your readers find these types of silly mistakes, their impression on your blog, will be very poor, as a blogger who does not know how and when to use active or passive voices or the spelling mistakes or any other grammar mistakes. Then they will definitely think that you are not fit to teach or provide knowledge to them. For example, if your teacher mathematics teacher teaches you as 2+2=5, then you will definitely think that he does not know math. So, your readers will also have the same impression as to your mathematics teacher. Use these tips and methods to dramatically increase your productivity and I hope it will help you make your blog post more effective and help you decide whether to click on publish button or keep it as a draft for one more revision. Love this article. Keep up the great work! "Are Your Grammar and Punctuation are Correct?" - check that - I'm no expert, but it doesn't seem right to me. Thanks Mikki Donaldson for your wonderful feedback.